Perhaps the most iconic structure in Paris, France is the Eiffel Tower. But you don’t need to go to Paris to see it. We have one right here. 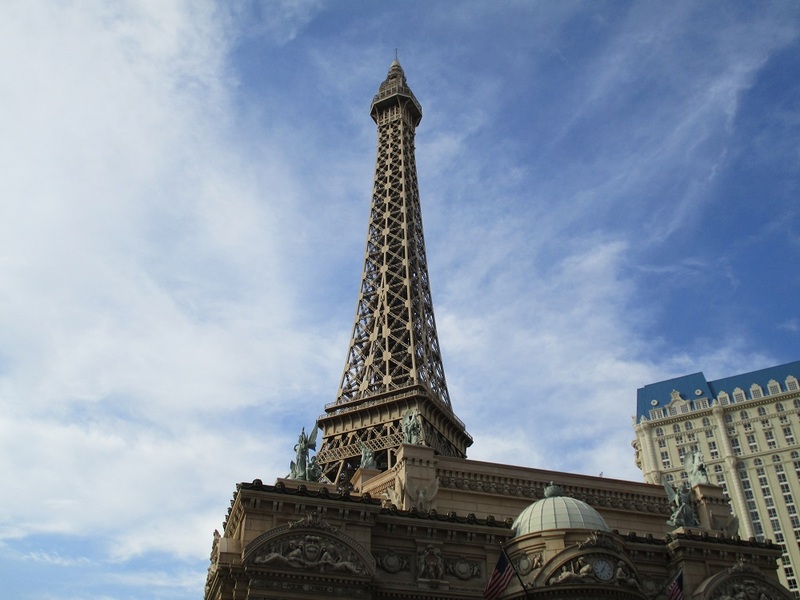 Granted, it’s not the genuine Eiffel Tower, but it has become one of the most recognizable structures in Las Vegas. Built to half scale, it is still an impressive tower. And just like the Eiffel Tower in France, you can go up to the top and get a 360 degree view of everything surrounding the tower. Of course, its a view of Las Vegas and not Paris, but our city is prettier, especially at night. You have to buy a ticket to go to the top of the Eiffel Tower, but if you have never done it before, it may be something you enjoy. Next to the Eiffel Tower is the Arc de Triomphe, another famous landmark in Paris. Our replica in Las Vegas is tucked away off the Strip, so not everybody knows it’s here. 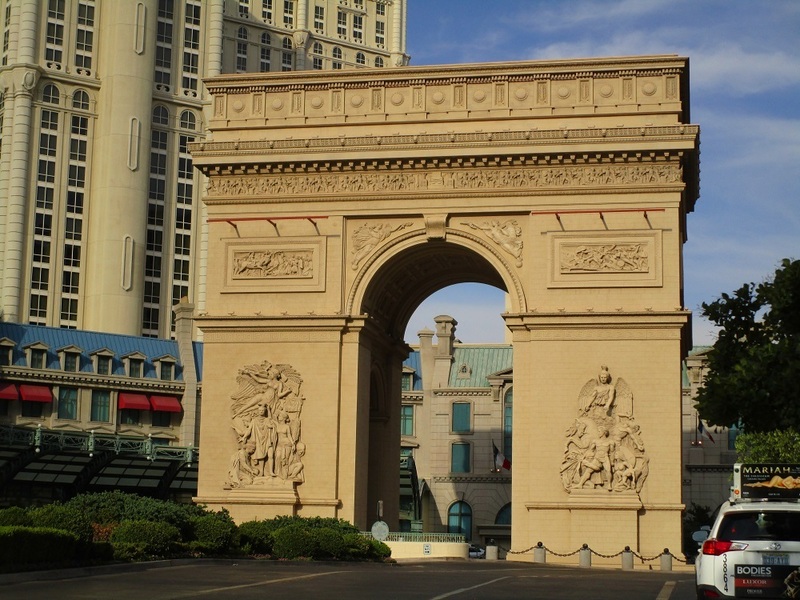 Most people on foot enter the Paris casino from the Strip, but the side entrance is where valet parking is located and where cars enter from the Strip and exit the hotel to the Strip. If you’re on foot, you can go through the casino to the doors leading outside. There is a lot of sidewalk here, so you can get a good view of the Arc de Triomphe.